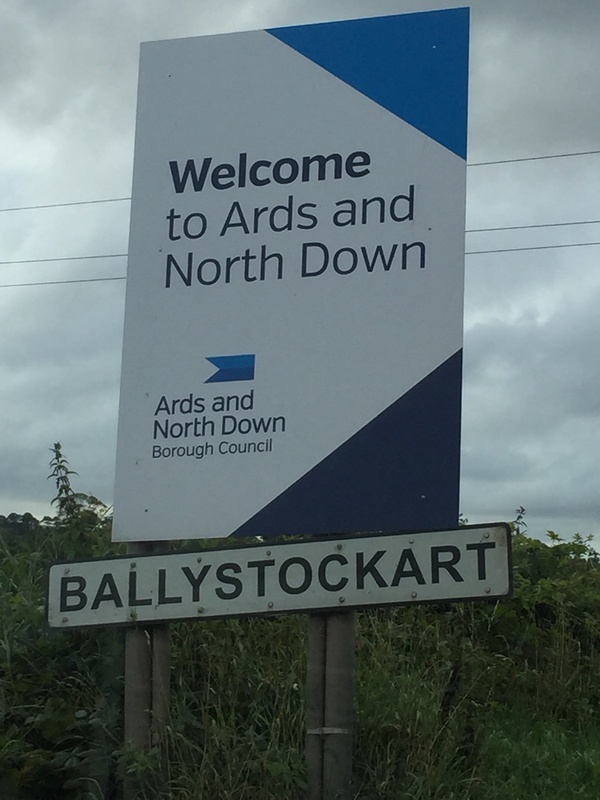 Today’s townland of Ballystockart welcomed me with a big sign and some Ulster-Scots words. 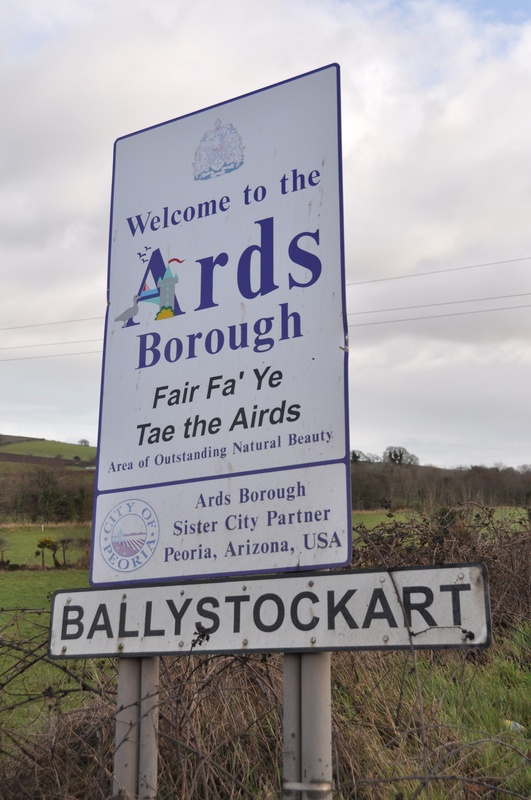 Ards Council joins up with North Down Council next month after local government reforms, so I don’t know how long this sign, and its link to Peoria, Arizona, will last. 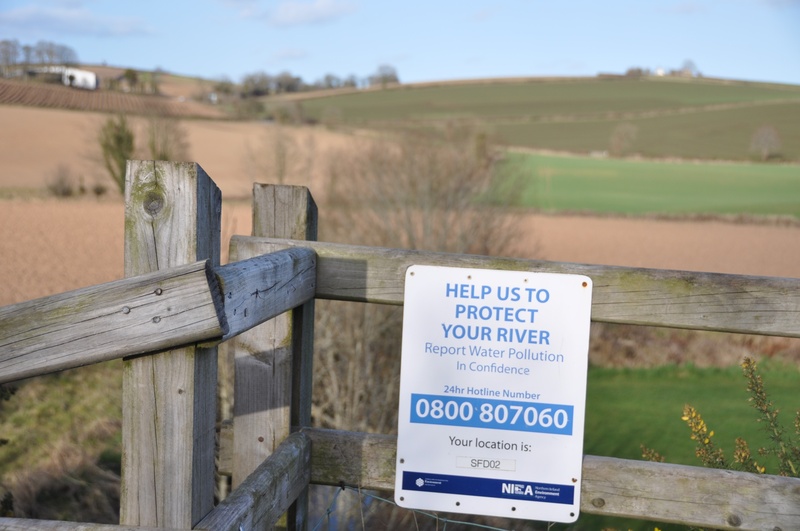 UPDATE IN SEPTEMBER 2015: Six months later, the new councils, and the new signs, are in place. There’s a lot going on in Ballystockart, with farms, a quarry, traffic rushing along the A22, Hillhead and Ballystockart roads, and the T.G. Eakin Ltd factory producing medical supplies. You can see a map of the townland on the PLACENAMESNI website, along with the explanation that “Ballystockart” means “Stocker’s townland”. It takes a while for the spelling of townland names to settle down. 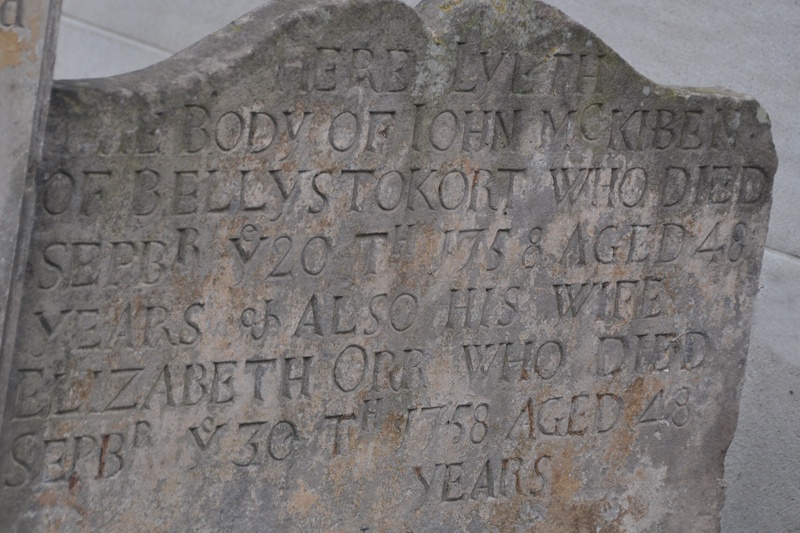 To the versions listed on PLACENAMESNI, I can add “Bellystokort” from 1758, carved on an old grave in Comber churchyard. 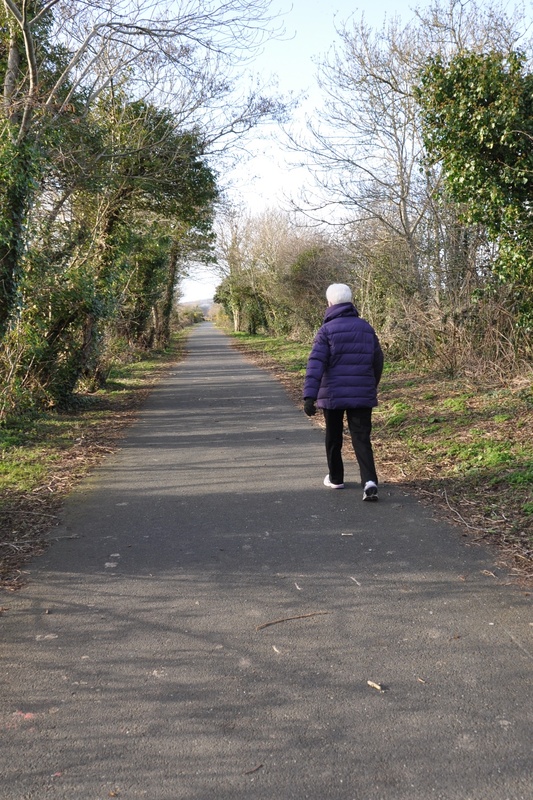 Back to the 21st century – remember last week, when I started my walk along the Comber Greenway? My first townland on the Greenway (starting at the Comber end) was Ballyloughan. Ballystockart is next. 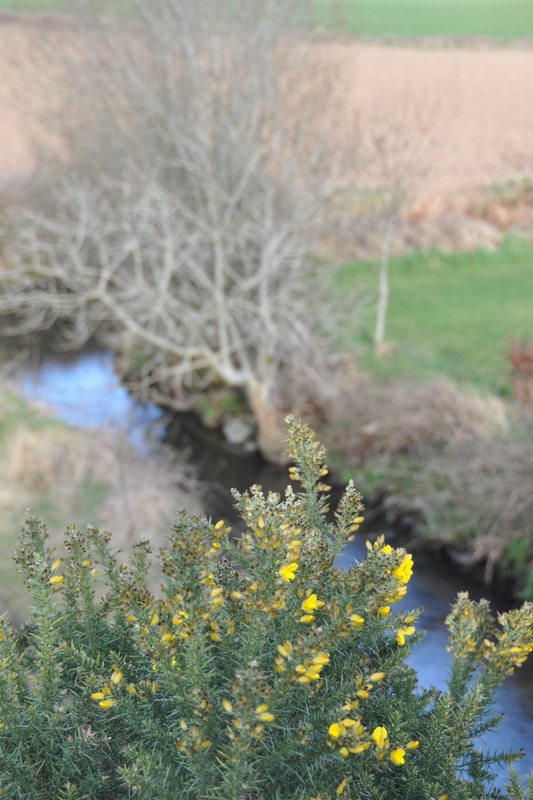 This little stream flowing under the Greenway is the Ballystockart river. 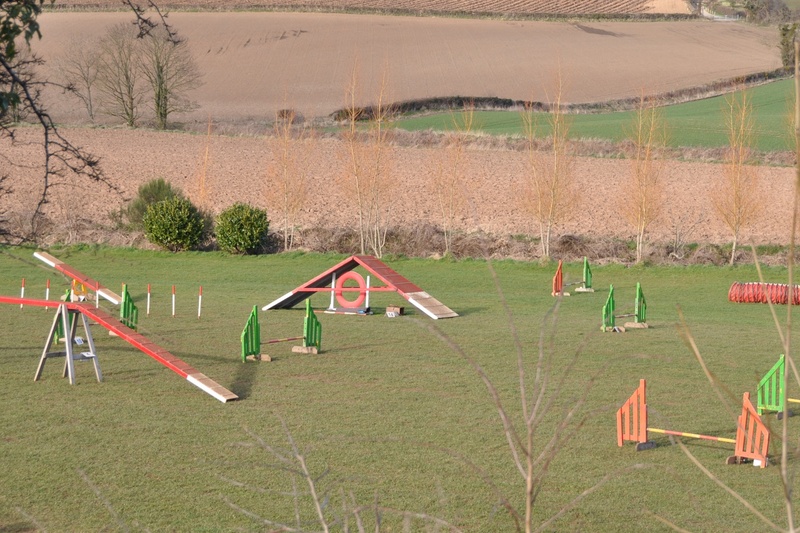 One of the most entertaining spots on the Greenway is located on Ballyrainey Road, at the intersection of Ballyloughan, Ballystockart and Ballyrainey townlands: it is the Patch dog training facility. If you time it right (I didn’t), you can watch dog agility classes. It’s a pity that there is no entrance to, or exit from, the Greenway at this point….maybe if we went to agility classes we would have a chance of leaping over fences and scrambling up embankments. Instead we will just keep on walking towards Belfast. Which townlands border Ballystockart? To the east, Ballyaltikilligan Ballyloughan, and Ballyrainey. To the west, Gransha, and Ballyrussell. Which council area is Ballystockart in? As you can see from the photo above, it’s now in Ards and North Down Borough Council. And finally, click here to see a map of Ballystockart and to read about the origin of its name, on my usual source, PLACENAMESNI.ORG.